If you’ve ever lost a tooth, you know it’s time to pay a visit to the dentist. And chances are, when you do go, your dental professional will suggest replacing the space with a bridge. Just like a bridge you would see on a road, a dental bridge is a cosmetic dentistry piece that restore your smile by attaching an artificial tooth to teeth close by. Not only will it fix the gap, but a dental bridge can possibly last for decades on end, depending on how well you take care of it. However, though the endurance and longevity of such a tool is great, it will eventually need some replacement or repair. What causes dental bridge failure? Most dental bridges are made of ceramics or porcelain fused to an underlying metal frame, and lacking oral care can cause the products to fail. Bacteria can enter under the bridge through the crowns and manage to produce decay in the abutment teeth. Abutment teeth may cause fractures. As far as the bridge goes, the bridge itself may eventually break. When should I get them fixed? 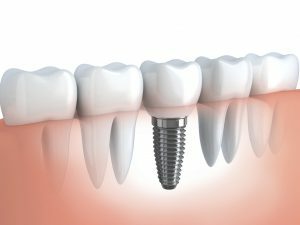 When you’re missing a tooth, you can either opt for a dental implant or bridgework. Although dentures are technically an option, the removable appliance is reserved for those who’re missing more than just a few teeth. Having said that, if you know or someone you know is deciding whether to get a dental implant or a dental bridge, below are a few factors to consider that may help. With dental implants, dentists first place a small titanium cylinder in the jawbone at the site of the missing tooth. Over a few months, the cylinder bonds with the bone tissue, creating an artificial root. An abutment is then placed on top, and later on, the artificial tooth. 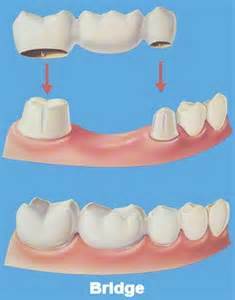 With dental bridges, crowns are first installed onto the natural teeth on either side of the gap. The said crowns are then used to create a bridge – hence the name – that will help hold the artificial tooth in place. While the procedure involves covering the gap, it’s worth taking note that the artificial tooth is not actually fixed to the jaw. The best thing about dental implants is that the procedure allows the jaw bones to remain strong and healthy. This has a huge positive impact on both your oral health and the shape of your face. Aesthetically, dental implants are also considered a lot better looking and they’re able to mimic the feel and function of real teeth much better. Lastly, dental implants are made to last, having an average lifespan of 25 years. Lots of people choose dental bridges because the procedure is relatively easy and safe. Although most cases require two visits, it’s not unusual for dentists to finish installing bridgework in a single visit. That’s a whole lot less compared to the three or more visits required for dental implants. Lastly, dental bridges are a lot cheaper compared to dental implants. At first glance, dental implants certainly look like the more appealing option. But, it’s important to remember that they’re also much more expensive. Plus, the process requires multi-stage surgery and can sometimes cause complications. Healing takes much longer as well, which only increases the risk for further complications. Meanwhile, bridgework can lead to the re-positioning of the bone tissue below the crown, creating instability and severely shortening its lifespan. As a result, most crowns need to be replaced after 7 to 10 years. Some are replaced even earlier. The process has also been shown to weaken the adjacent teeth, making them more vulnerable to tooth decay. So, which one of the two procedures is better? It’s hard to say. Truth be told, it mainly depends on what your dentist recommends. Cost alone isn’t really that big of a deciding factor as well. Although, it’s worth mentioning that dental implants could end up being cheaper in the long run since they’re more durable and do not need replacement as often. Plus, most dentists offer flexible payment plans for implant treatment, making it easier for patients to shoulder the cost. Regardless, it’s best that you discuss extensively with Dr. James Yankowskas the different pros and cons of each procedure to help you make a decision. Do it as soon as you can though, as leaving a missing tooth untreated for a long time can cause even worse damage to your teeth and gums. Call Dr. Yankowskas in Tyngsboro, MA today at 978-649-7773 or visit his website at www.tyngsborocosmeticdentist.com. A dental bridge is a non-removable prosthesis that is attached to a patients remaining natural teeth. Dental bridges are a great and effective way to fix issues such as large gaps due to natural issues, cracks, or just missing teeth. In order to receive a dental bridge, a patient goes through a simple dental procedure that doesn’t involve surgery. Dental bridges are a quick way to fix cosmetic issues, especially in patients who suffer from jaw bone loss or significant damage. A dental implant is used to replace one or more missing teeth. 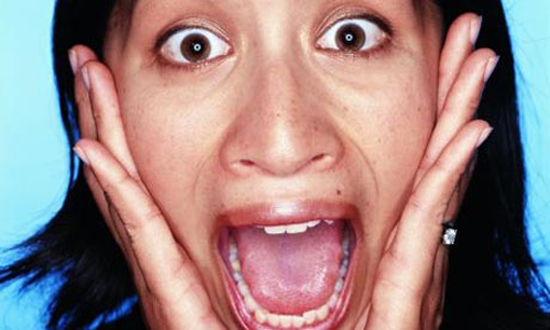 Teeth can go missing for a variety of reasons including injury or natural causes. Dental implants require very little maintenance in comparison to other cosmetic procedures. Implants may last for 10 to 15 years if very well taken care of and they look very natural, however, the processes in which they are placed are a little more time costly. It takes a series of appointments to get them placed. For more information on the advantages of dental bridges, implants, or other restorations call Tyngsboro Cosmetic Dentistry in Tyngsboro, MA at 978-649-7773 or visit www.tyngsborocosmeticdentist.com. A dental bridge is a cosmetic dentistry piece in which may last for decades on end. However, though the endurance and longevity of such a tool is great, it will eventually need some replacement or repair. Dental Bridges need to be fixed as soon as you notice chips or cracks, or feel pain or sensitivity while chewing or brushing it. See your dentist right away if you are experiencing any of these problems, as getting the bridges fixed as soon as possible will allow for less work to be done! For more information on the advantages of dental bridges or other restorations call Tyngsboro Cosmetic Dentistry in Tyngsboro, MA at 978-649-7773 or visit www.tyngsborocosmeticdentist.com. Crowns (or caps) are dental restorations that are used to replace an old amalgam filling or a broken tooth to provide improved function and protection when a white filling will not be strong enough to be considered as the ideal treatment. A bridge will replace a missing tooth or teeth when dental implants are not the treatment of choice. The bridge will have a crown on either side of the missing tooth or teeth to connect their replacements. A bridge can also be supported by dental implants to correct an area where several teeth are missing. Natural looking crowns are completed in a single visit while bridges will require no more than two visits. Dr. Yankowskas will use 3D imaging, our in house lab and his great eye for esthetics to fabricate a restoration that will be an ideal replacement of your tooth structure to improve strength, appearance and function. If most—or all—of your teeth are crooked, broken or decayed, you may have given up hope for a healthy, beautiful smile. You may want nothing more than to eat a variety of foods, from chewy to crunchy, hot to cold, with no discomfort and no worry … and to smile and laugh with no embarrassment. Dr. Yankowskas has good news for you. It’s called a total smile makeover, also known as full-mouth rehabilitation. Combining the best technology, materials and techniques with decades of advanced clinical training and experience, Dr. Yankowskas can “rebuild” your teeth to create the smile of your dreams. Why do people of all ages seek full-mouth rehabilitation? There are many reasons, including inherited dental problems, such as a bad bite; traumatic injuries from car accidents or sports; or chronic illnesses. Tooth-grinding, acid reflux, bulimia and drug and alcohol abuse may also inflict severe damage on the teeth. For more information about restorative dentistry call Tyngsboro Cosmetic Dentistry in Tyngsboro, MA at 978-649-7773 or visit www.tyngsborocosmeticdentist.com. Many individuals are aware that dental bridges are ideal to replace missing teeth, but what else can dental bridges do for you? Dental Bridges prevent your teeth from drifting. When there are gaps in the gums, teeth begin to reposition, severely damaging the gum tissue. By filling the empty space with a dental bridge, your teeth will remain positioned. Dental Bridges help with daily life. When your teeth are missing, common actions such as chewing and speaking can be extremely difficult. With a dental bridge, your mouth is given the proper support to go about daily activities with complete ease. Dental Bridges look appealing. Dental bridges allow you to maintain the natural look of your face and smile, without seeming overdone. 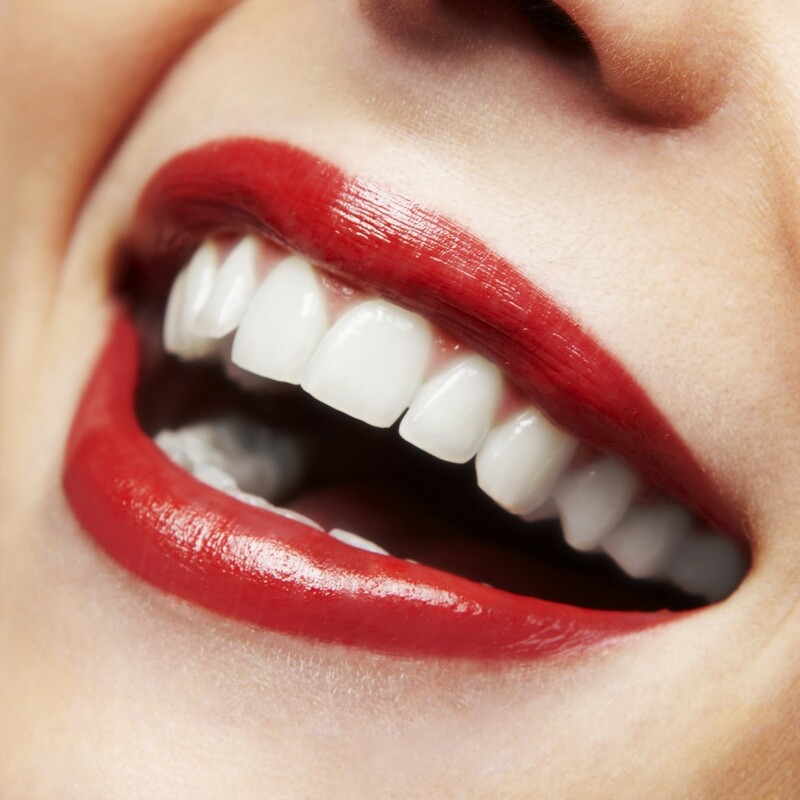 Studies prove that a dental bridge enhances the smile to look more attractive than other cosmetic procedures. If you are suffering from missing teeth and desperately want to enhance your look, call the professionals of Tyngsboro Cosmetic Dentistry today. Only a professional can determine whether or not a dental bridge is the ideal cosmetic procedure so schedule your appointment today!